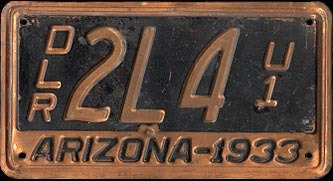 issued plates in 1914 but regular passenger-style plates were used, see above. 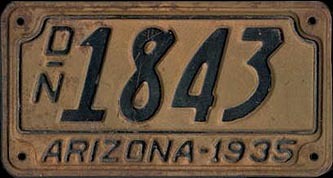 The 1915 plate measures 6 3/4 x 13 5/8. 1924 Dealer shown on vehicle. --CLICK photo for larger pic. 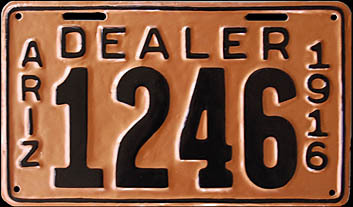 Used-Car Dealer plates had the letter U under the letter D.
New-Car Dealer Plates had the letter N under the D.